Back in February I attended opening days of the School of System Change, a cross-cultural gathering orchestrated by Forum for the Future in London. The world is a system that is constantly changing. Through storytelling, we can co-create what is needed to address complex challenges. Stories are a map for understanding the world, a microcosm of what’s happening in the larger whole. The goal of the School of System Change is to build a community of people practicing those skills. We are alive and part of this ecology, this system. What is the shape / thread / wave of your life? What is the context? Life is change, is motion. If you frame things too quickly, it becomes your prison. Sin crisis no hay crecimiento. Walking away from the thing often means circling back to it. Challenge your own story. Create a structure, a framework, but recognize when you’re holding onto old stories, and have the strength to let them go. What is the story that you always tell yourself about your life? What happens when you let that story go, and tell another story? We can understand ourselves as agents of change. There are many roles. (At the moment my role is Connector / Amplifier / Disruptpr / Archivist. I move between). We can look at change through the lens of relationships. Working smarter means getting out of our silos. People don’t like change. People fear change. To admit that your theory is wrong is really hard. London is dense with layers of time. Become cunning. Bring others in. Give them the opportunity to become part of the change. Rather than telling them something, bring them on board. System change is about partnerships. How can we create spaces where those relationships are built? People are very busy. We need to find spaces to step out of busy-ness and reflect. The Latin root of the word “conversation” means “to turn together. Human communication is a dance ritual. We live in language. Language is a place. You’re a different person in a different language. Find the part of the system that you can twang. Seek a journey for maximum wobble. The future is a figment. It doesn’t exist. The future is a product of the present. Institutions aren’t immutable. They can be redesigned and reinvented. Think for the long-arc, the 100-200 year future. Courage (to look deeply at ourselves & our strengths and weaknesses / biases; to know them; to listen to others). A group of people who believe in the need to change and define the problem together. What does your ideal future look like, feel like, etc.? How do we get people who have the power to change the system involved in system change? We must have the patience to listen and seek to understand perspectives that are different than our own. A map is a tool. A systems diagram embodies structure and causation. What is the behavior in the system that we want to change? You don’t create systems change. You create the conditions for it. Do the thing because it’s the right thing to do, not because you expect the right outcome. Keep options open. Do stuff and see what happens. Then re-frame your strategy, noticing things that were completely outside of your strategy that work well. What is the underlying assumption of the system? Everything is in a state of flux. Things are always in the process of becoming, just as a murmuration of birds flows and shifts. Tensions make life rich. We have to deal with tensions that can’t be resolved. Unsolvable tension is, sometimes, good. Things emerge when something changes that suits the local conditions. Embracing complexity means embracing that the world is more systemic and emergent than we’d like to think it is. Here is some audio I recorded from other participants on their thoughts on Basecamp’s opening days. This water jug bounces along with me for every kilometer of the trip. Tunnels. 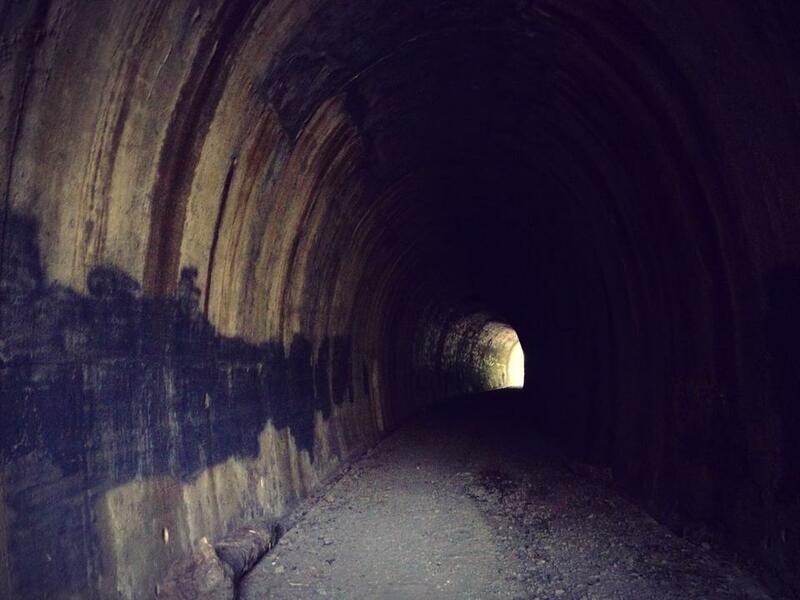 Bike path tunnels, especially. Yes, I shout “ECHO” every time I pass through. Yes, I am almost 23 years old. Glorious. There’s a moment where my voice becomes so distorted and magnified and wave-like that I can’t even recognize the sound. I love that blurring. When people ask where I’m headed, my default answer is: “north.” I’m hoping to find a boat in Cairns or Darwin to take me to Indonesia. From there I’ll travel as overland as possible back to North America. Somehow. Some places stick to the inside of my ribs, though. Good places. Brisbane. Brisbane was full of movement. I love rivers. Rivers and roads. 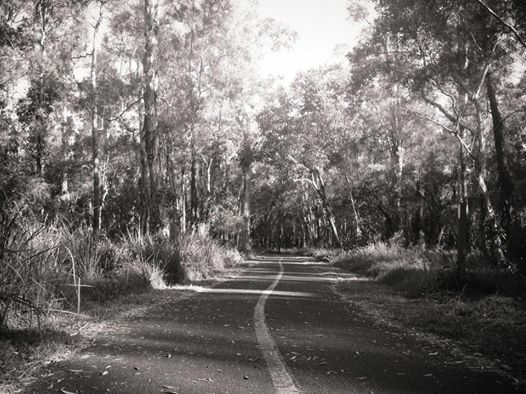 There’s lots more road ahead of me, but I can say without a doubt that Brisbane’s cycle ways are the best I have experienced. Ah, the joy of being off the road and on a bicycle-only pathway! 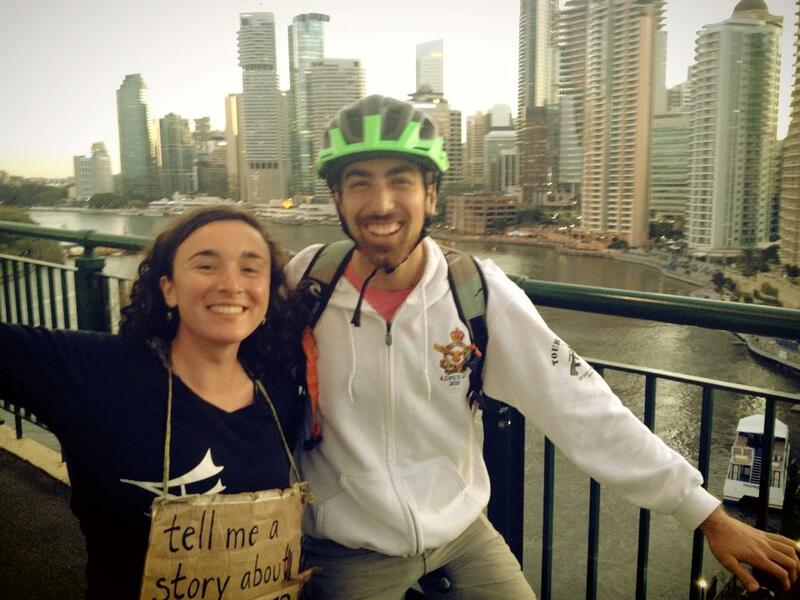 And YES, I did collect a story about water from a cyclist on Story Bridge! The total story count is in the 370s now. 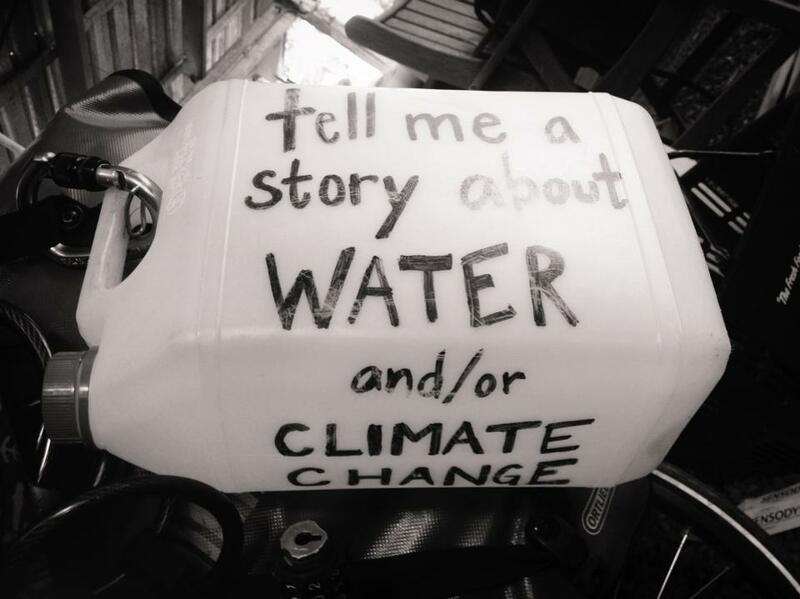 Numbers aren’t the most important part of the journey, but I am sticking to my goal of 1001 recorded stories about water and/or climate change. Every day is a step closer. All journeys begin and end, yes. And all journeys are ongoing. I tried to channel that story while I rode a shortboard for the first time in the surf on the Sunshine Coast. It was, shall we say, a work in progress? I think I’ll stick to longboards for the time being. 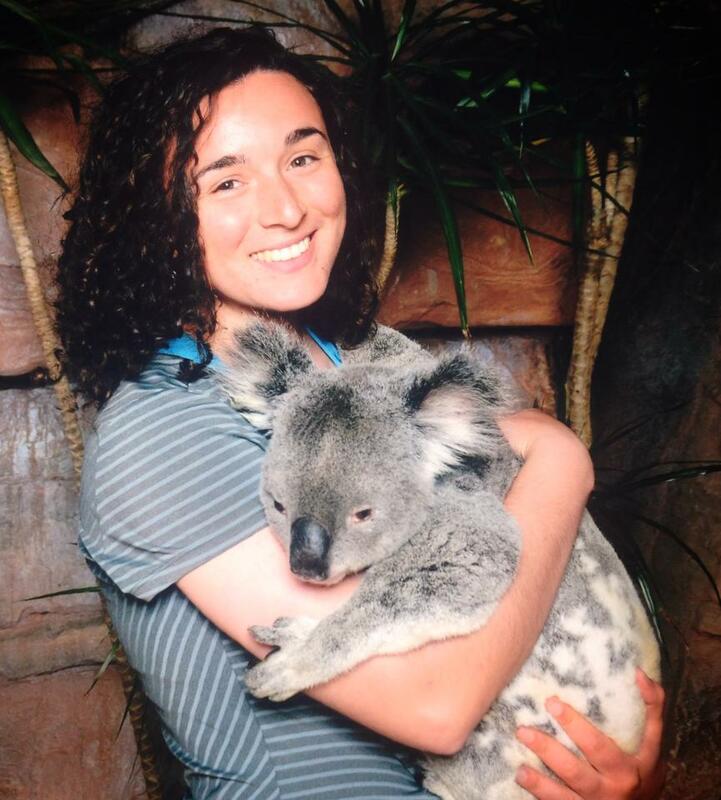 I loved taking an afternoon to visit the Australia Zoo, home of Steve Irwin. What a legend. After hugging a koala and feeding the kangaroos and admiring the giant tortoises, I went home and devoured Terri Irwin’s book in one sitting & then had a dream that I wrote a book of my own. Crikey. Here’s to words on cardboard signs and the places they lead. One bike, one year, and beyond. I am an auditory person. When I meet someone, the first thing I notice is the musicality of their voice––how they let the taste of a word linger on their tongue or send sentences flying into the ether. Breath. Intonation. Word choice. Sometimes my favorite thing to do is close my eyes and listen. So my grandfather told me when I was a little girl, “If you say a word often enough, it becomes you.” And having grown up in a segregated city, Baltimore, Maryland, I sort of use that idea to go around America with a tape recorder — thank God for technology — to interview people, thinking that if I walked in their words — which is also why I don’t wear shoes when I perform — if I walked in their words, that I could sort of absorb America. I was also inspired by Walt Whitman, who wanted to absorb America and have it absorb him. Everything I do is word for word off a tape. And I title things because I think people speak in organic poems. “If you say a word often enough, it becomes you.” We are, in other words, made of the words we give breath to––the very sentences we speak into existence. The interplay between language and identity is at the core of the questions I want to ask of poetry. How do poetry and storytelling intersect? I started to explore this question in my senior thesis, a book-length work of poems entitled There Are No Straight Lines. In August 2013 I biked 800 miles from Memphis, Tennessee to Venice, Louisiana following the Mississippi River Trail. Along the way I collected fifty hours of stories from the people I met who call the Mississippi riverbanks their home. At times, a single word or phrase sparked a poem. In other cases, I deferred to lengthy transcriptions to capture the rhythm of a storyteller’s speech. I love working with the raw material of others’ words––it has proved to be a river of inspiration. In the words of Anna Deavere Smith, “people speak in organic poems.” Where there are people telling stories, there is organic poetry. But my time spent playing with these questions is far from done. By listening carefully and making audio recordings of the voices I hear about water-based climate change on this year-long trip, I hope that I can, as Deavere Smith does, “walk in their words”––let the voices I hear guide my writing. So, readers: I’m curious. What questions are motivating your own work and play? What questions do you want to ask of the world? How do these questions resurface in your own stories? Do you have any favorite poems that tell a story? 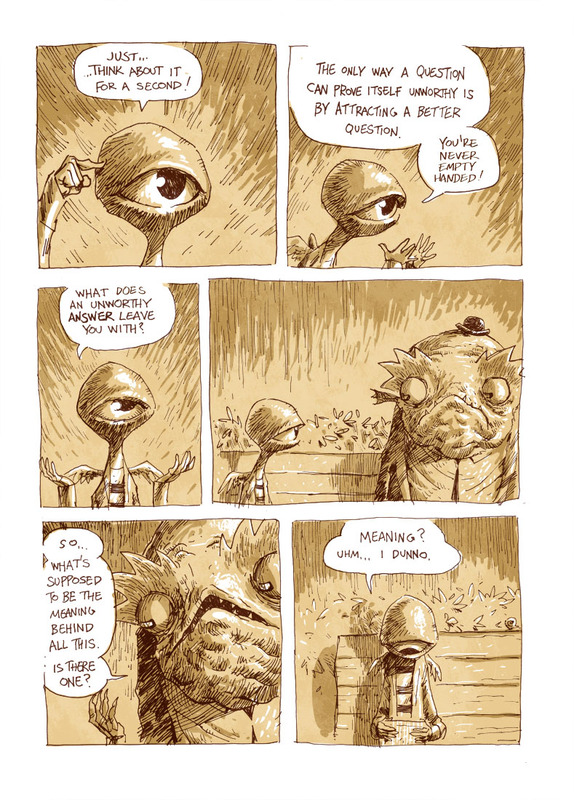 I want to leave you with this wonderful comic on questions, A DAY AT THE PARK, by Kostas Kiriakakis. The whole thing is worth a read.